The thrill of purchasing an airline ticket to a new country is the starting point of exciting and magical vacations. Whether you’re headed to Rome, Morocco, or Nantucket, travel can create some of the happiest memories. Navigating airports, foreign languages, or unknown cities, however, can put a damper on an otherwise adventurous week away. We want to make sure your only concern is whether you should buy one pain au chocolat or two. Check out our sightseeing secrets for a worry-free vacation. Jet lag, sore legs, stomach issues—these are just a few things that could plague a fun-filled getaway. That’s why you should carry along both Peppermint essential oil and Peppermint Vitality™ essential oil for a little extra help along the way. Inhale Peppermint’s refreshing aroma after stepping off the plane for a much-needed pep in your step. Massage Peppermint on the bottoms of your feet after a long day of walking up and down the streets of Amsterdam. Take Peppermint Vitality each morning in a veggie capsule to support gastrointestinal system comfort. It’s possible that travel issues such as missing trains or losing reservations at your hotel can almost ruin the whole experience; or maybe you’re 17 years old, in the middle of India with your friend, and you lose your passport. Not saying that’s happened … Let’s just say some Stress Away™ would have been helpful at the time. Keep this staple in your bag at all times! Breathe in the inviting aroma when your phone dies and you’re lost on the metro. Apply Stress Away to your wrists before heading out the door on a cliff diving excursion. Use it as a personal fragrance for a night out in Tokyo. Traveling is simply an excuse to eat lots of food in a new place. If you’re gorging on churros and paella, empanadas and asado, or spicy curry, you’ll want some assistance. When taken as a daily supplement, DiGize™ Vitality™, with its antioxidant properties and cleansing benefits*, will become your most faithful travel companion. Add 2 drops of DiGize Vitality and 1 drop of Peppermint Vitality to your water bottle for a minty twist. Take DiGize along with Essentialzymes-4™ before each delicious meal. Recycled oxygen on airplanes and shared living spaces in hostels can always use a quick freshening. Also, you’ll want to give your body general wellness support* to enjoy every second of your adventure. For best results, take the dynamic duo of Thieves® and Thieves® Vitality™ with you. Ask the flight attendant for a hot hand towel; add 2–3 drops of Thieves and wipe down your airplane seat for a fresh aroma before settling in for the flight. Spritz Thieves® Spray around the room when you first check-in to your hotel to freshen your home away from home. Sometimes the best vacations push us far out of our comfort zones. That could include traveling to the other side of the world, swimming with sharks, or simply landing in a place where you don’t speak the language. 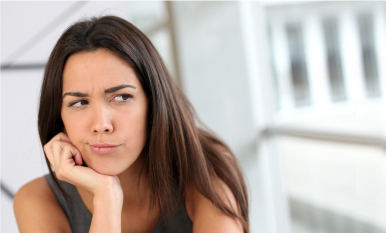 That’s no reason for nervous tension or occasional sleeplessness to prevent you from having the time of your life. Keep Lavender and Lavender Vitality™ with you, and you’ll be ready to roll. Use the floral aromatic experience of Lavender for its calming scent before zip lining in Costa Rica. Massage Lavender into skin with V-6™ Vegetable Oil Complex after a day of sun bathing in Fiji. 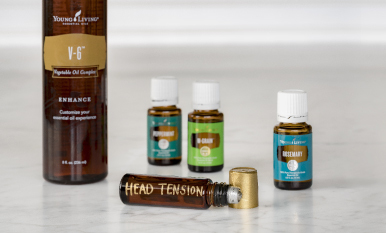 YL Tip: For even more uses of these five oils, take a travel-sized diffuser! These carry-on approved diffusers will help you refresh and uplift any space you’re in. Keep those hard-earned vacations full of adventure and joy by reading about road trip essentials and how to combat homesickness while away. 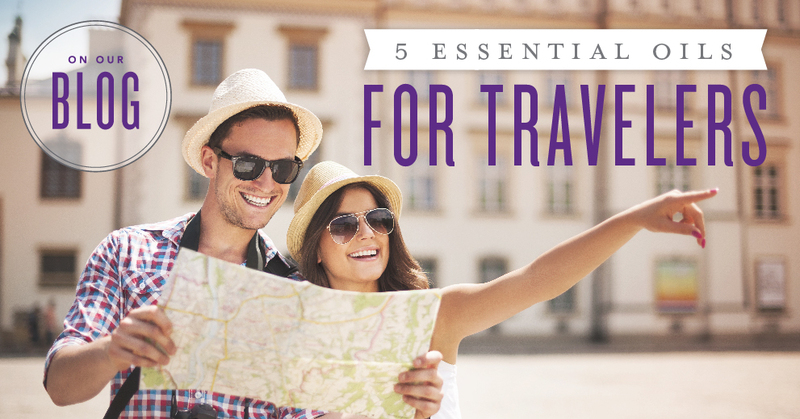 Spread your travel wisdom: Which essential oils do you never leave behind on a getaway? Let us know in the comments below! 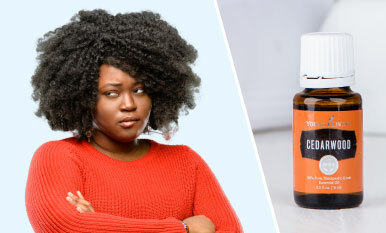 Can your love of essential oils reveal something that makes you grit your teeth? Take this quiz and find out!